Certain foods and beverages are known to cause discoloration of the teeth. Some of them include beets, blueberries, tomato sauce, coffee, tea, red wine and cola. Then there are also those that help dissolve stains and gently scrub the surface of the teeth, keeping your choppers looking white and bright. The following are foods known to help keep your teeth sparkling. Especially when brushing your teeth is not feasible, all you have to do is reach for them and munch away. Strawberries They may be bright red but strawberries can actually make your teeth bright white. What makes this possible is malic acid in strawberries, a substance that helps dissolve surface stains effectively. While you are making your smile perfect with strawberries, you are also loading up on vitamin C and antioxidants! Nuts and Seeds If you want to enjoy an impressive smile, simply grab some nuts and seeds during snack times. Chewing on them helps gently remove discoloration that keeps your choppers from looking dazzling. It’s no secret that nuts and seeds are also packed with healthy fats and muscle-building amino acids. Onions Munching on salads and other treats with raw onions can help give you a million-dollar smile. Certain compounds in these herbs are very good at dissolving stains and polishing the surface of your every tooth. The only downside is the resulting bad breath! Celery After having your onions and your toothbrush or mouthwash is not around, simply munch on a stick or two of celery. Doing this helps make your breath fresh. More importantly, it helps make your choppers go stain-free. The fiber and water content of celery make that a possibility. Apples That crunch you hear each time you take a bite is a clear indicator that an apple helps in giving you a winning smile. The gentle friction created each time helps remove those stains that rob you of your self-confidence. The juice also helps keep bacteria and plaque out of your mouth. Pears In case apples are not around, grab some pears instead. The fibrous flesh and the fluid content of pears work hand in hand in giving you a smile that you will surely love to flash. Pears also supply your body with fiber, potassium and vitamin C.
Oranges Because they are acidic, it’s no wonder why enjoying oranges can make your pearly whites stay white. As a bonus, you are also loading up on vitamin C, a nutrient that promotes healthy gums and teeth. However, it’s not a good idea to overdo eating oranges for the sake of a really bright smile as the enamel of your teeth may get eroded. Broccoli Looking for a way to brush your teeth while still seated at the table? Simply reach for some broccoli. The florets serve as a toothbrush while you’re chewing. 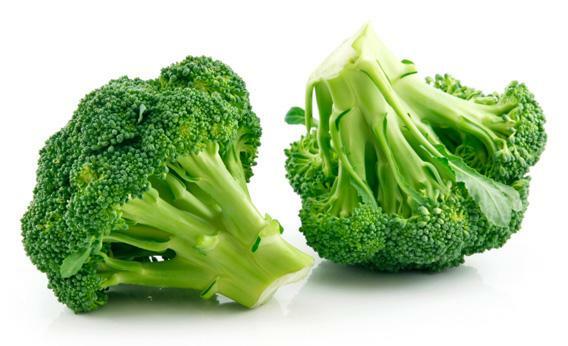 Broccoli is also loaded with the likes of vitamins C and K, chromium, folic acid, phosphorus and manganese, thus you are nourishing your body while perfecting your smile. Milk and Yogurt These treats are undeniably loaded with calcium. The said mineral is not only good at making your teeth stronger, but also making them appear whiter. If you are watching your weight, opt for low- or non-fat milk. Going for Greek yogurt is a great idea because it is very low in fat and calories. Next articleWhat Happens to Your Body When You Quit Smoking?